So you know how to produce but you now want to get started in your own studio, on a fairly low budget. How do you do that? One question we often get asked is, “How much do I need to spend to build a decent home studio?”This is a tricky question because for the audio enthusiasts amongst us, there is never enough sound or enough gear. 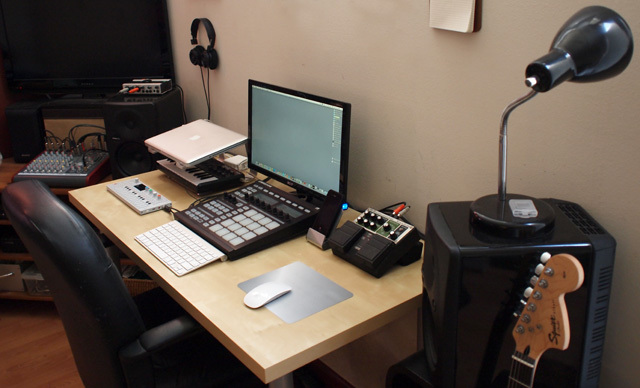 Creating a home studio can be a wallet-draining hobby. But it can also be a streamlined affair if you know exactly what you want to get done. All you really need is a MIDI controller of some sort (to play your keys and your beats) and a decent pair of headphones or speakers. If you want to record live sounds such as vocals or guitar, you’ll also need an audio interface and a microphone to get those sounds into the computer.